“Six Perfections” redirects here. For the race horse, see Six Perfections (horse). Pāramitā (Pāli; Sanskrit; Devanagari: पारमिता) or pāramī (Pāli) is “perfection” or “completeness.” In Buddhism, the pāramitās refer to the perfection or culmination of certain virtues. In Buddhism, these virtues are cultivated as a way of purification, purifying karma and helping the aspirant to live an unobstructed life, while reaching the goal of awaken-ness. The term pāramitā, commonly translated as “perfection,” has two etymologies. The first derives it from the word parama, meaning “highest,” “most distant,” and hence, “chief,” “primary,” “most excellent.” Hence, the substantive can be rendered “excellence” or “perfection.” This reading is supported by the Madhyāntavibhāga (V.4), where the twelve excellences (parama) are associated with the ten perfections (pāramitā). A more creative yet widely reported etymology divides pāramitā into pāra and mita, with pāra meaning “beyond,” “the further bank, shore or boundary,” and mita, meaning “that which has arrived,” or ita meaning “that which goes.” Pāramitā, then means “that which has gone beyond,” “that which goes beyond,” or “transcendent.” This reading is reflected in the Tibetan trasnslation pha rol tu phyin pa (“gone to the other side”). Two of the above virtues, metta and upekkha also comprise two of the four immeasurables (brahmavihāra). The Theravādin teachings on pāramitās can be found in canonical books (Jātaka, Apadāna, Buddhavaṃsa, Cariyāpiṭaka) and post-canonical commentaries which were written to supplement the Pāli canon at a later time, and thus they are not an original part of the Theravādin teachings. The oldest parts of the Sutta Piṭaka (for example, Majjhima Nikāya,Digha Nikāya, Saṃyutta Nikāya and the Aṅguttara Nikāya) do not have any mention of the pāramitās as a category (though they are all mentioned individually). 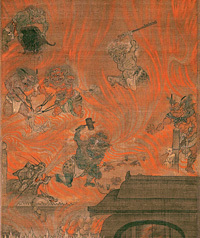 Some scholars even refer to the teachings of the pāramitās as a semi-Mahāyāna teaching which was added to the scriptures at a later time, in order to appeal to the interests and needs of the lay community and to popularize their religion. However, these views rely on the early scholarly presumption of Mahāyāna originating with religious devotion and appeal to laity. More recently, scholars have started to open up early Mahāyāna literature which is very ascetic and expounds the ideal of the monk’s life in the forest. Therefore, the practice of the pāramitās is closer to the ideals of the ascetic tradition of the śramaṇa in Buddhism. According to the perspective of Tibetan Buddhism, Mahāyāna practitioners have the choice of two practice paths: the path of perfection (Sanskrit:pāramitāyāna) or the path of tantra (Sanskrit:tantrayāna), which is the Vajrayāna. When we say that paramita means “transcendent action,” we mean it in the sense that actions or attitude are performed in a non-egocentric manner. “Transcendental” does not refer to some external reality, but rather to the way in which we conduct our lives and perceive the world - either in an egocentric or a non-egocentric way. The six paramitas are concerned with the effort to step out of the egocentric mentality. The gyulü is said to be endowed with the six perfections (Sanskrit: ṣad-pāramitā). ^ For the Pāli terms, see, e.g., Rhys Davids & Stede, 1921-25, p. 454, entries for “Pāramī“ and “Pāramitā,” retrieved 23 Mar 2010 and 30 Jun 2007, respectively. For the Sanskrit term, see, e.g., Apte (1957-59), p. 111, entry for pāramita, retrieved 24 Mar 2010. 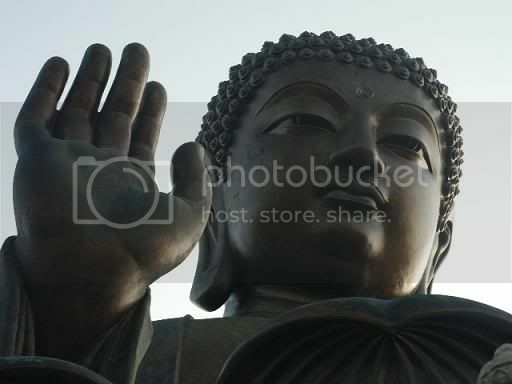 ^ Buddhavaṃsa, chapter 2. For an on-line reference to the Buddhavaṃsa’s seminality in the Theravāda notion of pāramī, see Bodhi (2005). In terms of other examples in the Pāli literature, Rhys Davids & Stede (1921-25), p. 454, entry for “Pāramī,” (retrieved 2007-06-24) cite Jātaka i.73 and Dhammapada Atthakatha i.84. Bodhi (2005) also mentions AcariyaDhammapala’s treatise in the Cariyāpiṭaka-Atthakatha and the Brahmajala Sutta subcommentary (ṭika). ^ “It is evident that the Hinayānists, either to popularize their religion or to interest the laity more in it, incorporated in their doctrines the conception of Bodhisattva and the practice of pāramitās. This was effected by the production of new literature: the Jātakas and Avadānas.” Nalinaksha Dutt (1978) Buddhist Sects in India. Motilal Banarsidass Publishers (Delhi), 2nd Edition: 251. The term “Semi-Mahāyāna” occurs here as a subtitle. ^ The passage is translated in Bodhi (1978), p. 314. ^ Ray, Reginald A. (ed.) (2004). In the Presence of Masters: Wisdom from 30 Contemporary Tibetan Buddhist Teachers. Boston, Massachusetts, USA: Shambala. ISBN 1-57062-849-1 (pbk. : alk. paper) p.140. Apte, Vaman Shivaram (1957-59). Revised and enlarged edition of Prin. V. S. Apte’s The Practical Sanskrit-English Dictionary. Poona: Prasad Prakashan. A general on-line search engine for this dictionary is available at http://dsal1.uchicago.edu/dictionaries/apte/. Bodhi, Bhikkhu (ed.) (1978, 2005). A Treatise on the Paramis: From the Commentary to the Cariyapitaka by Acariya Dhammapala (The Wheel, No. 409/411). Kandy: Buddhist Publication Society. Retrieved 30 Jun 2007 from “Access to Insight” at http://accesstoinsight.org/lib/authors/bodhi/wheel409.html. Horner, I.B. (trans.) (1975; reprinted 2000). The Minor Anthologies of the Pali Canon (Part III): ‘Chronicle of Buddhas’ (Buddhavamsa) and ‘Basket of Conduct’ (Cariyapitaka). Oxford: Pali Text Society. ISBN 0-86013-072-X. Rhys Davids, T.W. & William Stede (eds.) (1921-5). The Pali Text Society’s Pali–English Dictionary. Chipstead: Pali Text Society. A general on-line search engine for the PED is available athttp://dsal.uchicago.edu/dictionaries/pali/. 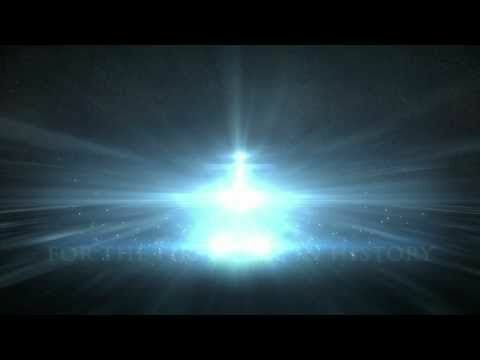 Spiritual Awaken-nessLives Will Change Forever. 1) Gods (Devas in Sanskrit); 2) Humans (Manushya in Sanskrit); 3) Asuras (Titans); 4) Animals or beasts (includes non-human mammals, birds, reptiles, amphibians, insects, viruses and bacteria, single-celled organisms); 5)Ghosts (also called “hungry-ghosts” or Pretas or bhutas in Sanskrit); 6) Hell-beings or Hell-dwellers (demons live in the narakas [in Sanskrit]). 1) Chinese Mandarin: lyou chyu , lyou dau lwun hwei , 2) Sanskrit: gati, sad-gatyah, 3) Pali: gati, 4) Alternate Translations: six destinies, six courses of existence. Living beings, Life according to Buddhist Ayurveda, Life according to modern science, karma and rebirth. Buddhist Text Translation Society (http://www.bttsonline.org/) References: SS V 135; HD 83; TD 39-54; VBS #206, p. 7. (as found in the scripture storehouse of the Indian Sanskrit-Siddham, Chinese, Tibetan and Japanese traditions of the Nalanda Tradition of ancient Nalanda University) of Shakyamuni Buddha, and his Arya Sagely BodhisattvaBhikshu Monk and Upasaka disciples. Nalanda Online University’s teachings are based especially on the Dharma Flower Lotus Sutra, the Avatamsaka Sutra, the Shurangama Sutra, the Ksitigarbha Sutra, the Bhaisajya Guru Sutra, the Dharani Sutra, the Vajra Sutra, thePrajna Paramita Hridayam Sutra, the Guhyasamaja, the Kalachakra and their commentaries (shastras) by the above Arya Tripitakacharya Dharma Masters. See also: Tripitaka (1. Sutras, 2. Vinaya, 3. Shastras or Abhidharma, or Tantra), Taisho Catalog Numbering System, Dharma, and names of individual sutras (such as Shurangama Sutra, Avatamsaka Sutra[Flower Adornment Sutra], Lotus Sutra [Wonderful Dharma Flower Sutra], Earth Store Sutra, Dharani Sutra, Brahma Net Sutra, Medicine Master Buddha Sutra, Sixth Patriarch Platform Sutra, Sutra in 42 Sections,Sutra on the Buddha’s Bequeathed Teaching, et al. Secondary Compilation Source: Muller, Charles, editor, Digital Dictionary of Buddhism [DDB], Toyo Gakuen University, Japan, 2007: Username is “guest”, with no password. Astronomers today declared the NASA/ESA Hubble Space Telescope a fully rejuvenated observatory ready for a new decade of exploration, with the release of observations from four of its six operating science instruments. “This is one more important step in the confirmation of this wonderful mission. We Europeans are proud to be part of this and heartily congratulate the engineers, astronauts and scientists who got us to this point,” said ESA’s Director of Science and Robotic Exploration, David Southwood. Topping the list of exciting new views are colourful multi-wavelength pictures of far-flung galaxies, a densely packed star cluster, an eerie ‘pillar of creation’ and a butterfly-shaped nebula. Hubble’s suite of new instruments now allows it to study the Universe’s across a wide swath of the light spectrum, from ultraviolet light all the way to near-infrared light. In addition, scientists released spectroscopic observations that slice across billions of light-years to map the structure of the cosmic web that permeates the Universe and also the distribution of the chemical elements that are fundamental to life as we know it. The new instruments are more sensitive to light and therefore will significantly improve Hubble’s observing efficiency. The space telescope is now able to complete observations in a fraction of the time that was needed with earlier generations of Hubble instruments. Therefore the space observatory today is significantly more powerful than it has ever been. “We couldn’t be more thrilled with the quality of the images from the new Wide Field Camera 3 (WFC3) and the repaired Advanced Camera for Surveys (ACS), and the spectra from the Cosmic Origins Spectrograph (COS) and the Space Telescope Imaging Spectrograph (STIS). 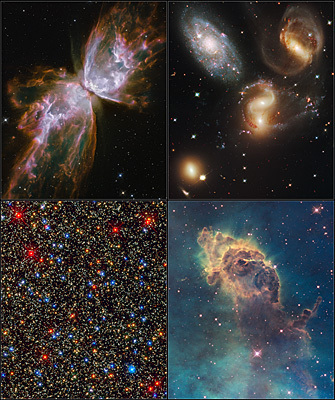 The targets we’ve selected to showcase Hubble’s capabilities reveal the great range of capabilities in our newly upgraded Hubble,” said Keith Noll, leader of the team at the Space Telescope Science Institute in Baltimore, USA, that planned the early release observations. These results are compelling evidence of the success of the STS-125 Servicing Mission in May, which has brought the premier space observatory to the peak of its scientific performance. Two new instruments, the WFC3 and COS, were installed, and two others, the ACS and STIS, were repaired at the circuit board level. Mission scientists also announced today that the Near Infrared Camera and Multi-Object Spectrometer (NICMOS) was brought back into operation during the three months of calibration and testing. For the past three months scientists and engineers at STScI and the Goddard Space Flight Center have been focusing, testing and calibrating the instruments. Hubble is one of the most complex space telescopes ever launched, and the Hubble Servicing Mission astronauts performed major surgery on the 19-year-old observatory’s multiple systems. This orbital verification phase was interrupted briefly on 19 July to observe Jupiter in the aftermath of a collision with a suspected comet. Hubble now enters a phase of full science observations. The demand for observing time will be intense. Astronomers look forward to using the telescope to conduct a broad range of observations: from studying the population of Kuiper Belt objects at the fringe of our Solar System, to observing the birth of planets around other stars, to probing the composition and structure of extrasolar planetary atmospheres. There are ambitious plans to take the deepest-ever near-infrared portrait of the Universe to reveal never-before-seen infant galaxies that existed when the Universe was less than 500 million years old. Other planned observations will attempt to shed light on the behaviour of dark energy, a repulsive force that is pushing the Universe apart at an ever-faster rate. The Hubble Space Telescope is a project of international cooperation between ESA and NASA. It was launched in 1990. The partnership agreement between ESA and NASA was signed on 7 October 1977; as a result of this agreement European astronomers have guaranteed access to 15% of Hubble’s observing time. 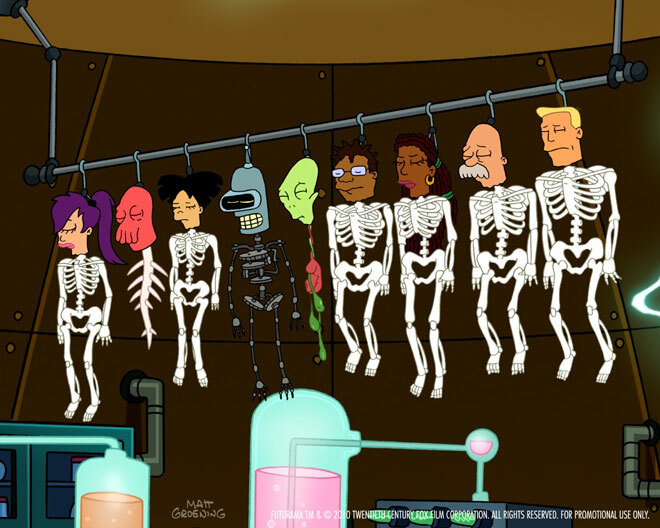 Futurama TM and © 2010 Twentieth Century Fox Film. All Rights Reserved. which returns to television June 24.
storyboards and videos — about the show every weekday in the lead up to the new run of episodes.